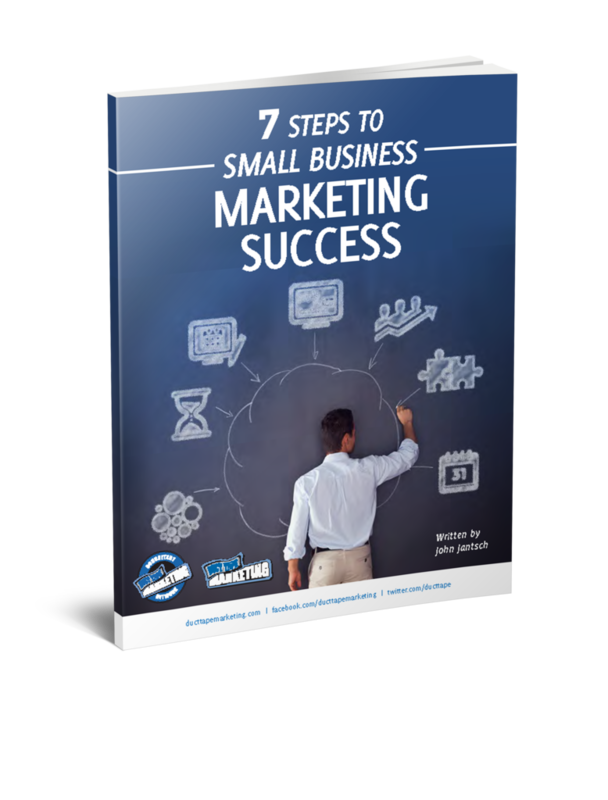 I am conducting a free teleseminar this month titled: The 7 Steps to Creating the Ultimate Small Business Marketing System. This session is a gift to my Duct Tape readers and promises to be jammed packed with some of my most important small business marketing strategies. Enroll today – tell a friend, heck, tell 10 friends. The more the merrier.